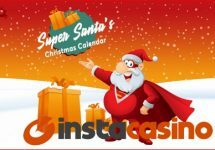 InstaCasino – Insta Christmas Shopping Spree! Did you realize that Christmas is yet again just around the corner? Well, this year you won’t have to wait in long queues. Simply, join the Insta Christmas Shopping Spree, put your feet up and play your favorite video slots during the next 3 weeks and you could be a winner. Receive points for every spin and make your way up on the leader board. The bigger the bet, the more points you get. Swoon to the top and you can be in the chance of getting a well-earned share of €3,000 worth of prizes. 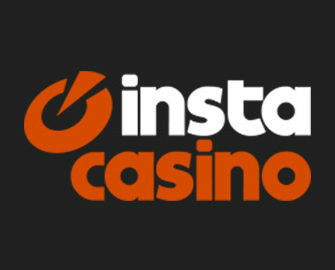 Not yet a member at InstaCasino? Then sign-up now and claim their fabulous €500 Welcome Package. Bonus terms and conditions apply. 18+ only. 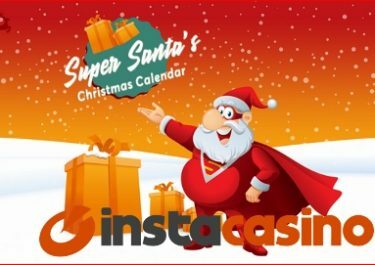 Grab some cash and Super Spins in this year’s Insta Christmas Shopping Spree campaign, running until 22nd November 2017. Just in time to the dosh for that endless Christmas gift list. Play any slot to earn points and race into the TOP50 of the leader board to get a share of €3,000 in cash and Super Spins prizes. Bonus bets arising from Free Spins earned prior to the start of the campaign will not be included. The leader board will be updated twice a day at 10am and 4pm CET, the final leader board will be displayed on 24th November 2017. All prizes will be credited to the winners account within 48 hours after the end of the race. There is no wagering requirement on cash prizes. The value of Super Spins is €1/spin and they will be credited manually in Spinions. Winnings from Super Spins needs to be wagered x35 times, subject to the InstaCasino bonus terms and conditions.